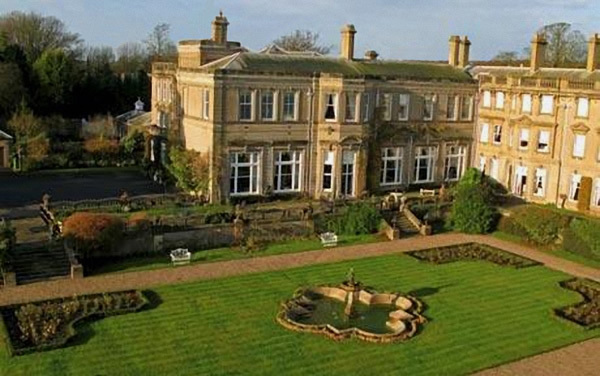 When Michael Thomas Bass II, grandson of William Bass, the founder of Bass Brewery, became head of the combined Bass, Ratcliff and Gretton Brewery, he had Rangemore Hall built in the late 1850s. During the rebuilding, the main road use to run outside the main house, it was diverted to accommodate the new buildings, that is why, what was once a straight road between the two public houses has a bend outside Rangemore Hall. In 1860 Michael Thomas Bass and his family moved in. The grounds and gardens were beautifully laid by a famous landscape gardener Edward Milner and it became the subject of a number of Burton postcards. Rangemore Hall was reconstructed and extended by his son, Michael Arthur Bass, when he inherited it from his father. A large part of the estate was leased by the Duchy of Lancaster it was subsequently purchased outright by Lord Burton in 1884. The work on the house began in 1898, it was carried out in the Italian style of architecture. During the reconstruction it was fitted out with all mod cons of the time from electric lights to electric lifts. The walls in the dining room were made high enough to hang seven Gobelin tapestries. 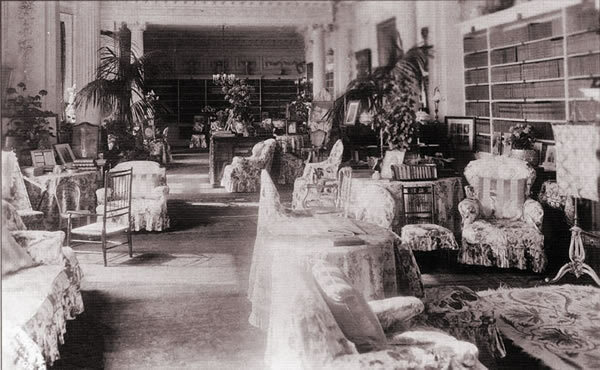 Below, is a view of the much used drawing room. 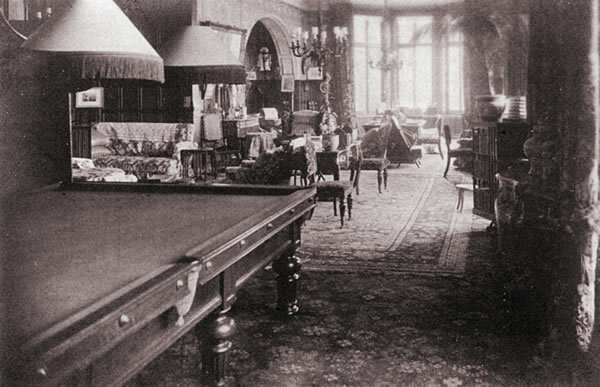 The billiard room, not the snooker room as would be the case in later grand residencies, because snooker had noy yet gained popularity. This room was well used by Gentlemen staying at the house after dinner. Staff and servants were taught to listen at the door when game was in play, and to enter after hearing a shot had been played so as not to disturb the players at an inopportune time. And the very light and airy library. When the work was completed in 1902, the extension was twelve times bigger than the original manor it was attached to. King Edward VII made his first public visit to Burton on Trent since his accession to the throne, where he stayed at Rangemore Hall from Friday February 21st till Monday the 24th. The King was accompanied by one of his well known travelling mistresses, Lilly Langtry, for whom a special one-bedroom flat with discrete access was prepared. During his stay on the Saturday, he made a public visit to Burton and the brewery where he started a special brew to commemorate his visit, known as “The Kings Ale”. On Sunday, his Majesty attended a public service at Rangemore Church before returning to London on Monday morning. Just beyond the lake, Lord Burton had a mound constructed and a gap cleared in the forest with two bullet-proof booths one on either side of the clearing connected by rail tracks. The mound was made of shale covered with earth and lawn. A local blacksmith who was persuaded by the Baron to work for him full time, made a magnificent stag out of iron and hide with beautiful head and horns. The servants in the booths would pull the stag along the tracks by rope for Lord Burton and his guests to shoot. The mound has long since disappeared. Guests were often from very high society. 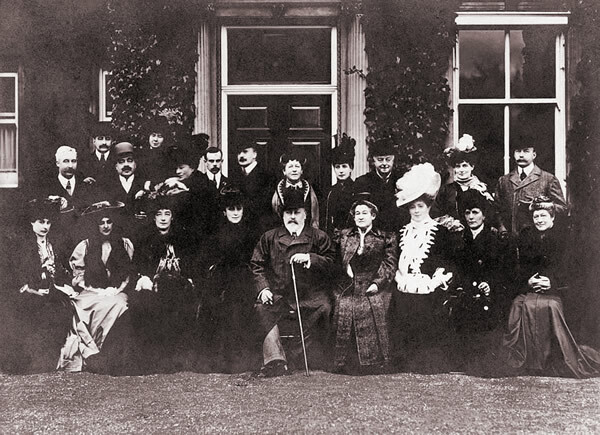 The below Royal Party, for example, was taken on January 5th, 1907 in front of Rangemore Hall with guests including a return visit from King Edward VII, last there in 1902, together with Queen Alexandra. 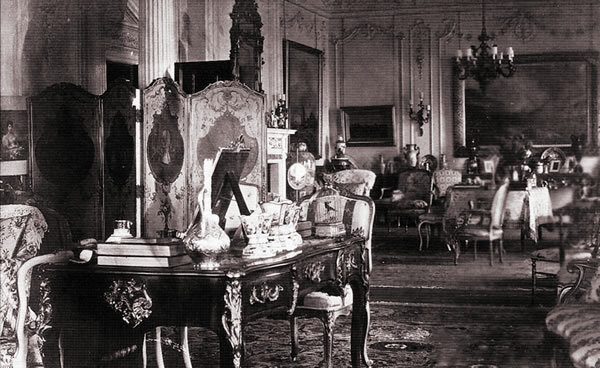 Tantilizingly, it also features Mrs Keppel, another of the King’s well-known mistresses, seated while Queen Alexandra (now deaf) stands behind. Also of note, Mres Keppel was the great-grandmother of Camilla Parker-Bowles, second wife of Charles, Prince of Wales. 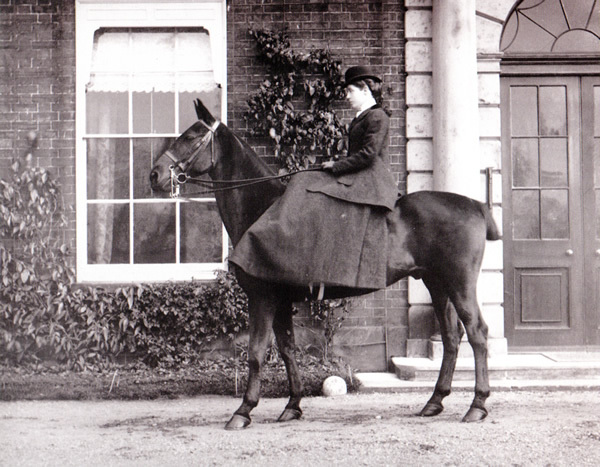 Rear: Austro-Hungarian Ambassador, Lady Alice Stanley. Nellie Lisa Bass, seen above, inherited Rangemore Hall and the title of Baroness Burton after the death of her father, Lord Burton in 1909. 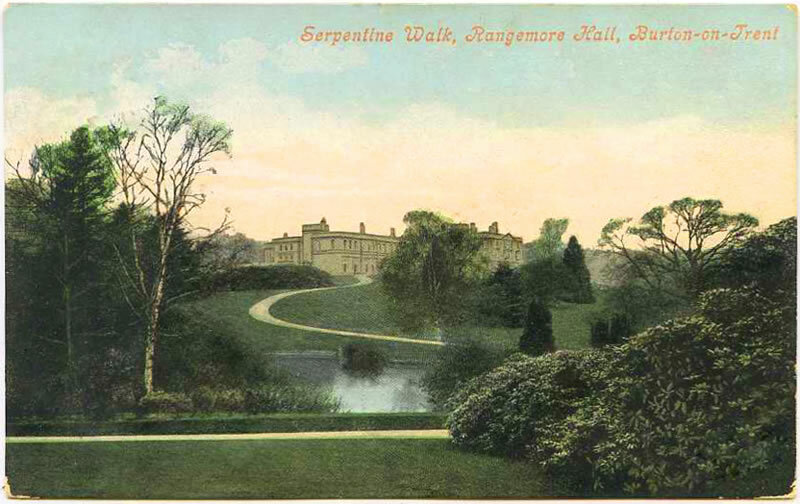 For 70 years Baroness Burton divided her time between Rangemore Hall and her two Scottish homes. Rangemore Hall was becoming too large for her, she once complained of having to cut her servants to seventy. She sold it to Staffordshire County Council on 24th October 1949 for £40,000. In 1944 the American GIs occupied Rangemore Hall until 1945, some have left their names inscribed on the walls and door of one of the outhouses behind the caretaker’s lodge. 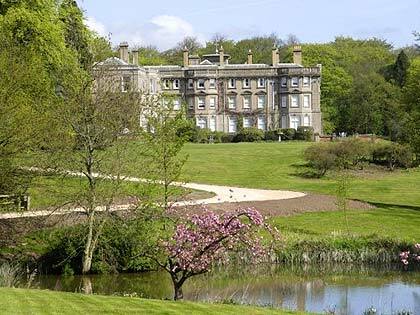 The Baroness moved to Needwood House, still on the estate just one mile from Rangemore Hall, she still travelled to her Scotland homes, always taking her beloved Cairn Terriers with her. The Baroness Burton, born in 1873, led a very active life and died in 1962. In January 27th 1954 Rangemore Hall was opened as ‘Needwood School for the Partially Deaf’ with 46 children all of whom have been transferred from other deaf schools. The average total number of pupils has been approximately 120 (the maximum number of pupils that could be taken in was 150). During the 1980s the number of pupils coming to Needwood was getting smaller, at the time it closed in 1985 the number of attendants was down to 26. Just before the school’s closure, over 500 former pupils and staff came to the last grand reunion to say their farewell. The Hall still exists today as luxury apartments.